Genesis is the book of beginnings. But it is also a book about God. "In the beginning God" is the opening freeze-frame of the Bible. If we go back in time before the world sprung into being, we find God. If we ask where the world came from, Genesis answers: God. If we wonder why the universe continues to operate in an orderly, timely, predictable fashion, the answer in Genesis is God. And as we ponder how all this ancient information has been preserved and passed down to us, the answer again is God, who gave this book to Moses and had him write it down for the ages. Kurt Strassner leads readers through Genesis with clarity and application, showing its vital relevance to our modern world. 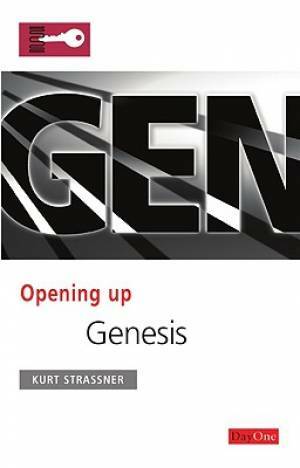 Opening Up Genesis by Kurt Strassner was published by Day One in December 2009 and is our 36394th best seller. The ISBN for Opening Up Genesis is 9781846251597. Be the first to review Opening Up Genesis! Got a question? No problem! Just click here to ask us about Opening Up Genesis.